Why call it a philosophy? We design to communicate, and we seek emotive responses. Minimal, lots of white space... and clean. Right? We don’t design web pages. We design system s.
Having complete freedom is possibly the worst way to start any project. Responding to the problem in the simplest way possible. Less is more. Simple is be ! er. Right? Unleash complexity in orchestrated phases, and increase power gradually. Don’t underestimate humans. They can fill in the blanks. A timely audit can prevent catastrophic failures, and shine new light on what you’ve learned. Don’t launch. Instead, sit with your work, think about it. Sieve it down and give it space. 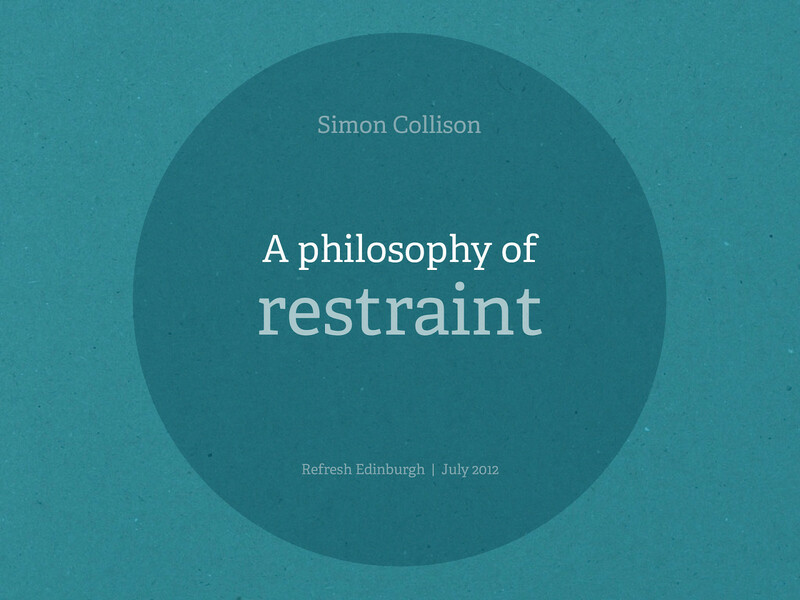 View A philosophy of restraint on Notist.